The Briançonnais region is for French art photographer Julien Benard like a second home. It’s the place of his childhood memories: “I come from Paris area, but I remain strongly attached to the Briançonnais region, because of my memories, the landscapes, the sensations I have there, he says. I spent all my childhood holidays in my family house in a village next to Briançon and I’m still going there as soon as I can. ”. This area from the French Alps shares a border with Italy and is therefore not unfamiliar with the arrival of migrants seeking refuge in Europe. Yet as the prefect of the Haute-Alpes Philippe Court said to the newspaper “La Croix” on August 28 : “The number of crossings has significantly increased, especially in the past three or four weeks.”. Faced with this unusual situation, the locals are showing solidarity to welcome migrants, including many minors. When Julien arrives there in August for holidays, “La Croix” asks him to photograph the arrival of migrants and the solidarity in the region for a publication. For Julien, it’s his first photo report. After getting to know teenagers and young adults, who were taking a break in the Briançon emergency center for a few days, and observing how the volunteers there are overwhelmed by the situation, he can’t just go back to his family house and start his holidays as if nothing happened. 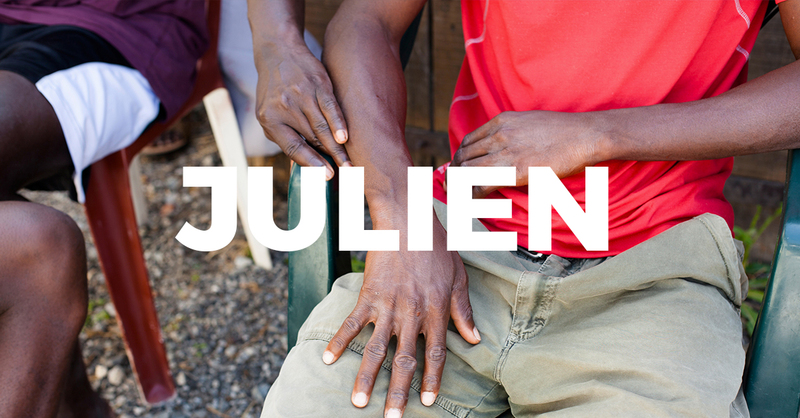 After finishing his assignment, Julien continues to go almost every day to the Briançon’s shelter, hosts migrants in his home, organizes a carpool and diverts the youths by taking photos with them. He stays in touch with some of them, especially with a young adult and a teenager and starts to provide them with administrative and moral support. “I went from a photographer’s position – which is a priori the most normal for me – to an almost parental position, in the case of the child, he summarizes. These two different positions are hardly compatible for me. As I’m originally not a photojournalist, documenting could be the role of someone else. It doesn’t mean that I wouldn’t take photos again but it’s not my priority compared to how concretely help a child in a situation of great distress.”. Photography, © Julien Benard. Julien Benard is a French photographer born in 1975. He is based between Paris and French department of the Hautes-Alpes. Visit his website to discover his work. You can also read this article to learn more about the situation in Briançon.